Here it is; that great big post that comes a bit too late and just sort of sums up a whole lot of things. Things that really all could have been written about individually, had I been a little more on it. I left off at the week or so of rest I was relieved to enjoy after the ultrasleeplesstravelathon/miseryfest of a trip I took to get to the Kimberly stop of the IFSA Freeski tour. From there it was down to visit a sunny and rather snowless Park City, Utah, home of the US Freeskiing Grand Prix. This ski cross race is easily my favourite one of the season each year, and though I didn’t think this year’s event quite measured up to past efforts, that tradition held strong. Unfortunately, though I loved the course, it didn’t seem to share my feelings; as one of the lower corners rudely spat me out directly onto my face. At least that’s what I suspected based on the damage, which I assessed upon my return to consciousness and arrival at the Park City medical centre. 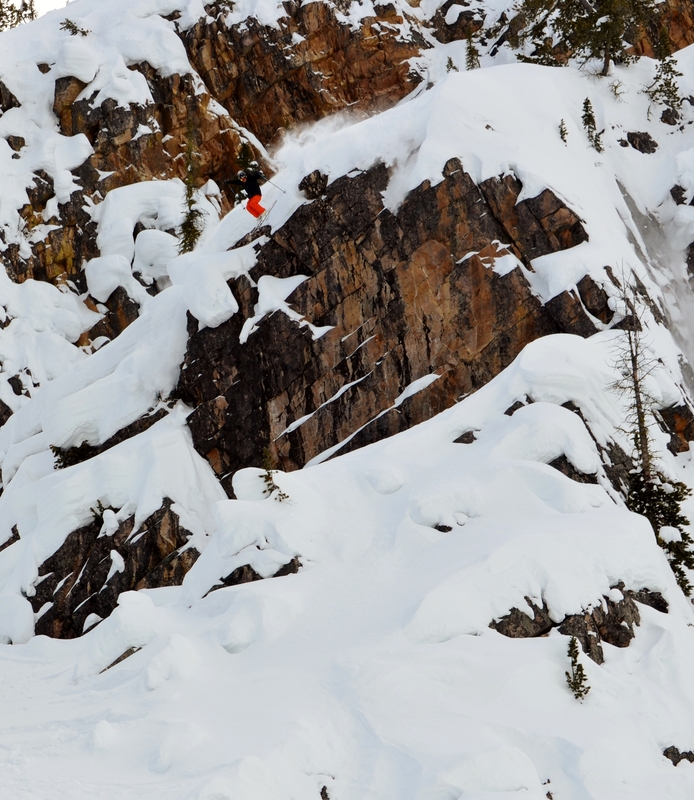 The concussion I sustained put a bit of a damper on my activities for a few weeks, which unfortunately included both the Kicking Horse and Lake Louise IFSA events. I was particularly bummed to miss the former; home mountain advantage and the prime conditions would have been great things to capitalize on. Oh well. My punishment (treatment) was to spend as long as possible shuttered away from outside, light, sound, internet, computers, TV, and any other form of entertainment I could think of. Luckily, I only had to suffer through a couple of weeks in a dark room before I was feeling confidant enough in my head to grab a few more ski cross results at my last race of the season in Panorama. Though I absolutely detested almost every aspect of the course, it seemed to be working for me and I put down a few solid, confidence boosting race runs that did a great job of fending off the nervousness I was still battling over the state of my brain. That small personal victory firmly in mind, I moved on to Wrangle the Chute, another home hill event and easily my favourite of the year. Naturally, I decided somewhere along the line that I wanted to go both big and fast. These two ideas came crashing somewhat literally together in my first run, when my speed sent me much too far on my main air. 60 feet to flat is not something I could ever expect to land, and it was understandably the end of my shot a a half decent score. Doing well would have been great, but one of the many things I love about Wrangle is that no matter where you end up, you will have a great time. And I did. 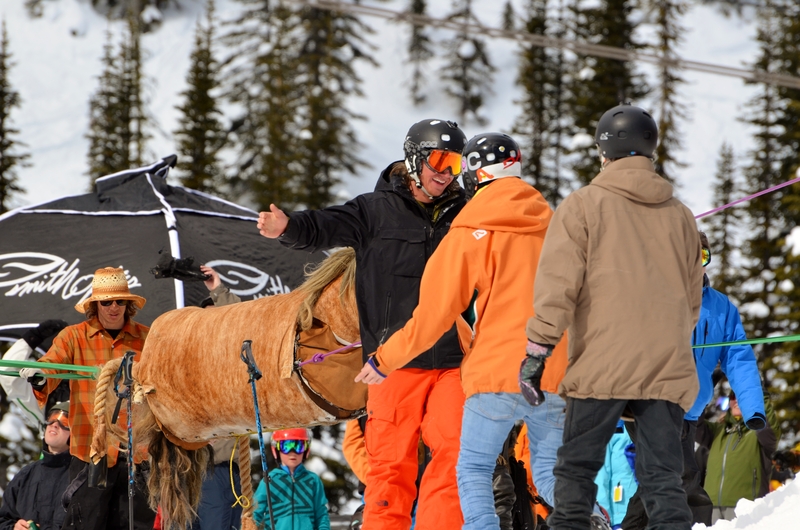 After the competition it was all about ripping the resort and the spring touring that was the subject of my last post before my final event of the year: North American Jr. Freskiing Championships at Revelstoke. In keeping with the direction that this year’s freeskiing events have been taking for me, it was frustrating. I underperformed magnificently on the qualifying day, which in a stacked field and combined with some judging that I had a difficult time understanding was enough to keep me out of finals. I have to admit, that one got to me a bit more. I couldn’t let my competitive season end on such a pathetic note, so I decided to get out of Revy early and end it back at Kicking Horse in the slush cup. If there was ever a way to put a smile on my face, I think that sending into a frozen pond with 60 other costumed maniacs would be it. I feel strongly that my cork three to ice bath was a much better way to transition out of comp/race mode and back into feel good spring skiing. After all, we do this because it’s fun -right? It wasn’t quite how I envisioned the comp season going, especially on the freeskiing side of things, but I can hardly call it disappointing. Actually I have to say, I really enjoyed it. There was no season ending crash this year, I finally felt 100% again (that whack to the head notwithstanding) and I left myself with the perfect season to build off of. This is all in reference to competitions and races of course. Though it’s not over, the season as a whole has been the best one of my life. Even as it continues through the spring, I’m already planning ways to top it when the snow returns next winter. In the meantime, contrary to some rumours I’ve been hearing, I don’t actually hibernate through the summer. I’ve got a few ideas in mind that could make for some interesting stories, so please stop by every now and then. If nothing else, the potential for hilarious failure will certainly be there. I appreciate you reading the things I’ve written this winter as well. It always amazes me when I look at the view counter that people find the things I have to say so interesting. Thanks for being one of those people!